The Highland Council is this week launching the first edition of a new shared vision for Fort William and Lochaber and is looking to community representatives to play their part in driving forward change in the area. Figures released this week show an increase of over 5% in the annual visitor numbers for the second year of operation of the Inverness Castle Viewpoint. The city’s newest attraction has seen 29,295 people make the trip to the top over the past year, underlining the Viewpoint’s importance for tourism in the city. 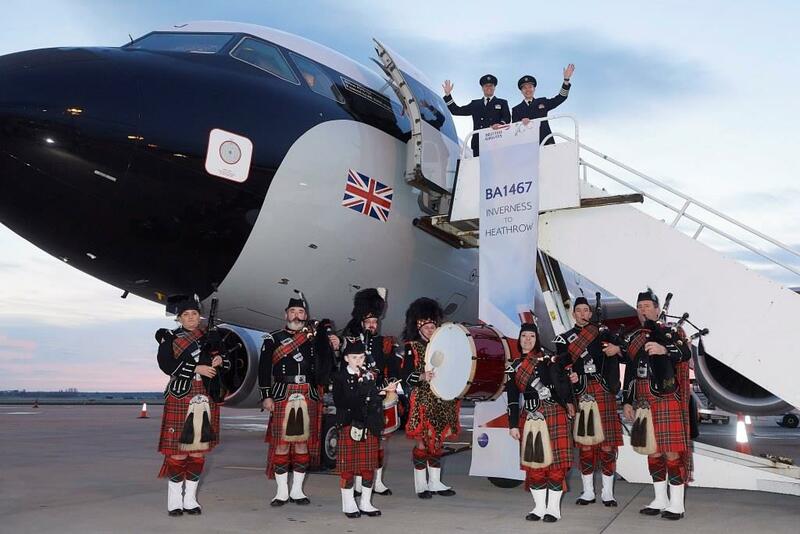 Highland Council Leaders have welcomed a new Inverness – London Heathrow service this week by British Airways which will allow people to travel between the two cities and return the same day. Highland Council has revealed significant cost and emissions savings by adopting a new business travel strategy, with the introduction of 35 Enterprise Car Club vehicles. Around 120 apprentices and staff in the construction industry attended crucial road safety training in Inverness this week to help protect them from dangerous road accidents on their daily commute to work. The Highland Council is raising awareness of the opportunity to help shape future growth and development across the Inner Moray Firth area. Key stakeholders from across the Highlands and Islands will meet officials from the Department for Transport (DfT) in Inverness on Friday (15 March) to highlight the critical importance of improved air services to the region’s prosperity. The Highland Council has today (Monday 11 March) announced the release of a new mapping tool for available business and industrial land across the Council area that is aimed at supporting investment in the Highlands. Businesses have voted for the Visit Inverness Loch Ness Tourism Business Improvement District (BID) to continue for a second term and a further five years from 1 April 2019 – 31 March 2024. Businesses in the Highlands and Islands are being encouraged to plan for the impacts of Brexit. A multi-agency city centre partnership continues to provide public reassurance and enhanced community safety in Inverness for locals and visitors. Following the tragic fatality last year in Norfolk involving a child and an inflatable Bouncy Castle, and a further incident on an inflatable slide at Woking where ten children were injured and taken to hospital, The Highland Council’s Environmental Health Service is responding to Health and Safety Executive (HSE) advice and raising awareness of the risks associated with such equipment. The Highland Council’s Environmental Health team currently allocates significant resource to facilitate Highland based food manufacturer’s trade with EU and non-EU countries. Members of the Ross and Cromarty Committee have agreed to invest in infrastructure improvements for Dingwall that will “unlock” the development of 150 additional houses in the town. The Highland Council has agreed an ambitious future vision for Fort William known as Fort William 2040. The first meeting of the Local Organising Committee of the international Celtic Media Festival recently took place in Aviemore. The Highland Council is reminding people that there is still time for them to have their say on proposals to make Academy Street and the area surrounding Inverness Railway Station a more attractive place to visit, live and work. 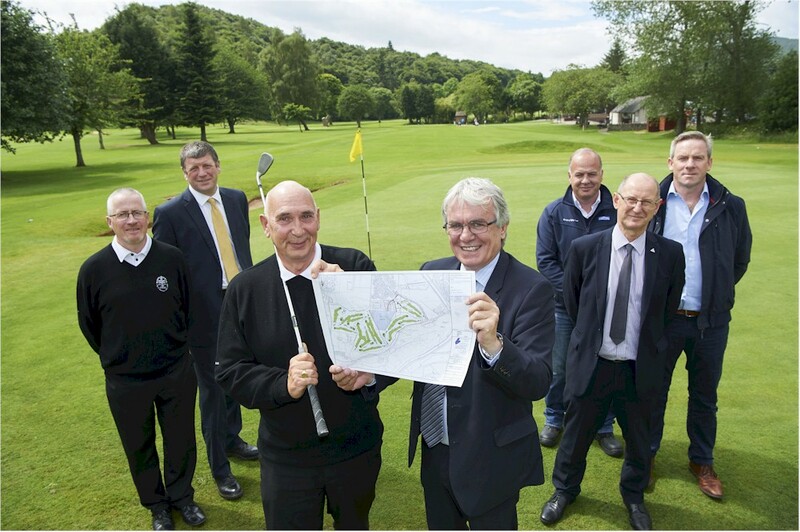 What next for Inverness and Highland City-Region Deal? Artwork designed by pupils from Merkinch Primary School has been incorporated as part of the finishing touches to a £6 million plus project to create new homes in Inverness. 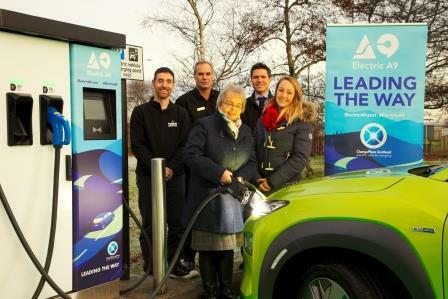 Today (18 December) saw the first electric vehicle chargepoints installed at Skiach Services by Alness as part of the Electric A9 project. The Raining’s Stairs development in Inverness has won a prestigious award for the Best Residential Housing Development in the UK. Highland Council Trading Standards want everyone to have a ‘fake free’ Christmas this year. The Environmental Health Service of The Highland Council has successfully prosecuted an Inverness city centre restaurant and take-away after officers uncovered a catalogue of unsafe food hygiene practices. The Highland Council has today announced significant progress in the quality of collection and reporting on the performance of it’s town centres through the release of new Town Centre Health Check “Story Maps”. The Highland Council in partnership with HITRANS invites you to have your say on proposals to improve walking and cycling links surrounding Inverness Railway Station during a six week consultation beginning on Thursday 6 December 2018. 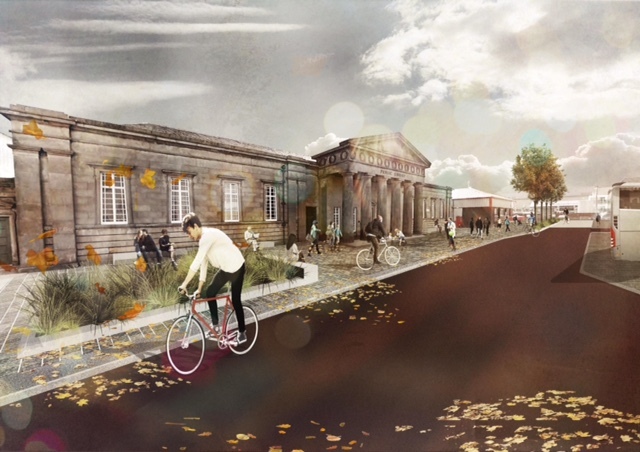 The public are being asked to have their say on plans which have been drawn up to shape the future of Academy Street, Inverness, and complement a planned major upgrade of the railway station and revamp of the Victorian Market. The importance of tourism businesses engaging with the outdoor activity market was amongst the topics discussed at this year’s Highland Tourism Conference. The regeneration of a landmark area of Inverness is now complete. The Highland Council is rallying to support four students who this week remain affected by the impacts of the Underwater Centre in Fort William ceasing to trade. The Highland Council is concerned for Lochaber and the wider Highlands as it understands that one of the region’s specialist companies The Underwater Centre in Fort William has ceased trading. City centre stakeholders, businesses and the general public are being invited to have their say on the Inverness City Centre Trade Waste Policy, which was introduced on 5 March 2018. Nairn Highland Councillors have agreed to increase the funding available for projects related to improving access to shops and eligible High Street properties. The Nairn Councillors have agreed to increase the funding available for projects related to improving access to shops and eligible High Street properties. A grant of up to 75% of eligible costs (up to a maximum grant of £3,750) will now be awarded if the application is specific to improving access to premises. NHS Highland has signed up to ASH Scotland’s campaign to tackle adults buying tobacco or cigarettes for young people. The purchase of a significant site on the southern side of Inverness’ Bridge Street was completed on Thursday 28 June, it is confirmed by The Highland Council. In response to Johnson & Johnson’s announcement of their acceptance of a binding offer from Platinum Equity to acquire Lifescan, Inc the Leader of The Highland Council, Cllr Margaret Davidson has welcomed the clarity about the Inverness plant’s ownership. Plans for the purchase of a significant site on the southern side of Inverness’ Bridge Street were unveiled by The Highland Council today. The Highland Council has been working with taxi operators and Police Scotland to investigate alternative Taxi Rank provision due to the proposed re-designation of the existing Castle Wynd location. 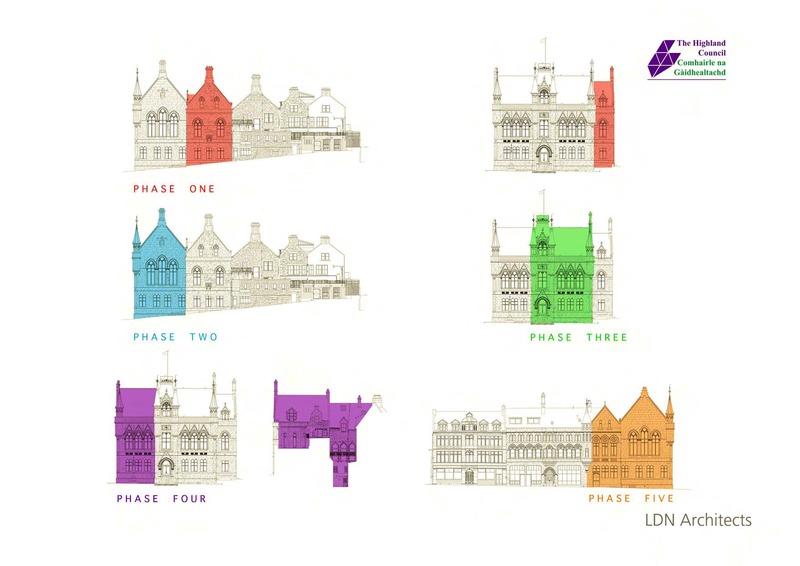 The City of Inverness Area Committee has given the go ahead for the next steps to deliver an Action Plan for the Victorian Market that will build a business case for the remodelling of the Market Hall. The Highland Council is pleased to announce that the Smithton and Culloden Flood Protection Scheme has been awarded to Inverness based Morrison Construction with a tender assessment value of £6.2M. The Inverness Townscape Heritage (TH) Project is hosting a series of free traditional building skills training events in 2018, starting on Wednesday 26th April with an evening talk focussing on traditional windows and doors. A full day workshop will take place on Thursday 26 April, giving more in-depth training on repairing and upgrading of traditional doors and windows. Next week a five day course will take place at Kyleakin on the Isle of Skye aimed at supporting unemployed people prepare for work. Council Officials, along with Police Scotland, met with objectors to the relocation of Castle Wynd Taxi Rank in Inverness yesterday. 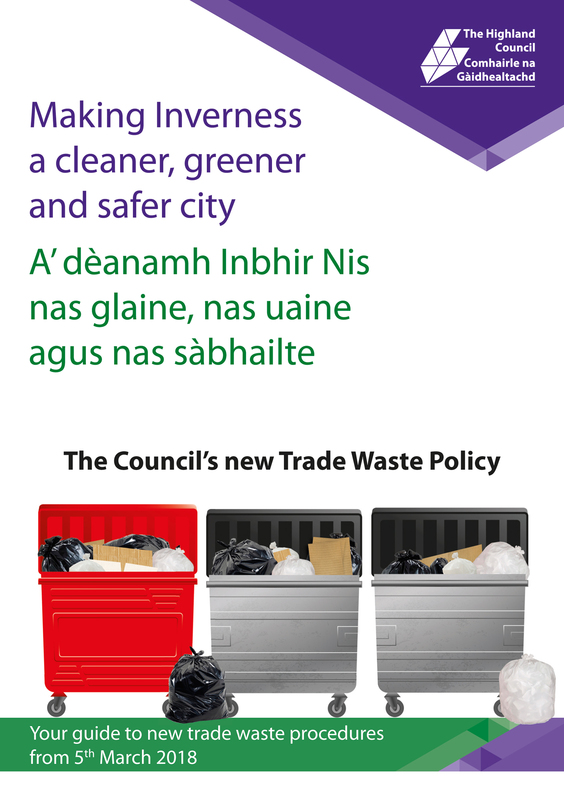 Businesses are being reminded that the new trade waste arrangements for Inverness City Centre come into force on Monday 5 March. Members of The Highland Council’s City of Inverness Area Committee have welcomed the impact that a community safety partnership project “Operation Respect” had this winter in helping to make the streets of Inverness city centre a safer place to visit. The Embo Trust, Strathnaver Museum and Sutherland Community Sports & Recreation Hub are among projects in Sutherland set to benefit from funding from the Highland LEADER Programme. Work is set to begin to build a new community facility in Kiltarlity. The Highland Council is asking stakeholders and members of the public for feedback on new draft guidance aimed at ensuring high quality designs for traditional, replacement and new shopfronts. Nail polish manufacturer SMC Cosmetics, established with support from The Highland Council’s Growth Fund and, subsequently by Business Loan Scotland, has successfully secured new contracts with a number of UK and International Original Equipment Manufacturers (OEMs) to help fuel its growth and expansion. The city of Inverness has come out as one of the winners of the fDi’s European Cities and Regions of the Future 2018/19 ranking. 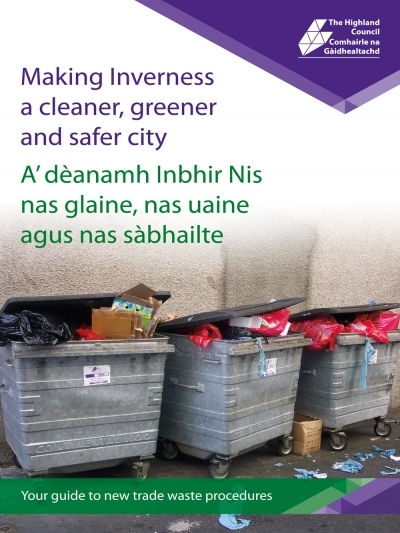 Businesses in Inverness are being invited to workshop sessions to ensure they are prepared to meet the requirements of the city’s new trade waste policy. ​​​​​​​Highland businesses urged to be on scam alert. Highland Council Trading Standards team have recently seen an increase in scams targeting Highland businesses. The Highland Council has successfully prosecuted a food business after discovering unsafe hygiene practices in the transportation of food. UK consumers spend billions of pounds when shopping for Christmas gifts for family and friends. Spending figures for online shopping increase each year. However, how many of us know our online shopping rights or what to do if things go wrong? Or our shopping rights we have on the high street. Inverness company Macrae Marketing International (MMi Ltd) has recently signed an exclusive deal with Dutch company Happy Sun Life. As part of National Consumer Week 2017 campaign, “Not what you signed up for”, Highland Council Trading Standards are keen to warn consumers to be on their guard when signing up to free trials or one-off discounts. The local final of the Rotary Young Chef of the year competition was held in Ardnamurchan High School on 14th November 2017. Businesses and organisations are being encouraged to apply for funding through the Highland & Moray Fisheries Local Action Group (FLAG) as part of the European Maritime & Fisheries Fund. Campaigners in the Highlands are supporting a national campaign to challenge adults who buy or give cigarettes to children and young people. Last week, The Highland Council issued rent suspension orders (RSO) in relation to a number of properties being operated as unlicensed houses in multiple occupation (HMO). 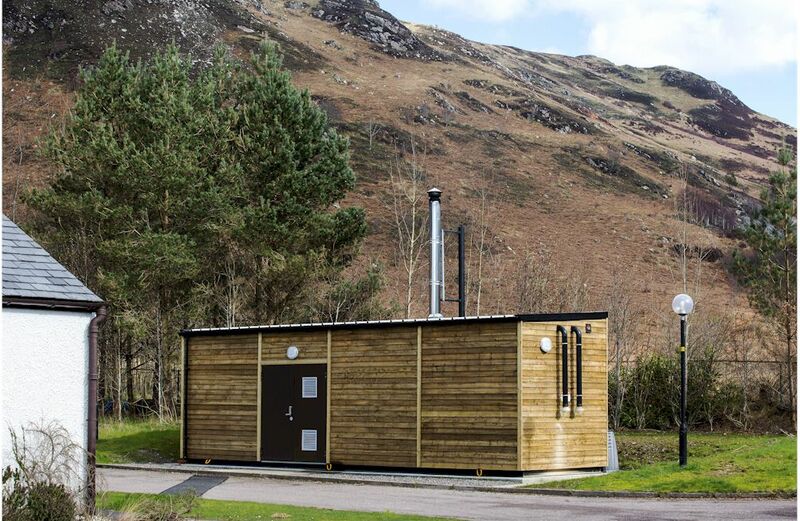 The Leader of The Highland Council Councillor Margaret Davidson welcomed the First Minister’s announcement of a Rural Tourism Infrastructure Fund to deliver much needed improvements to tourist infrastructure to support the rising numbers of visitors to the Highlands. Following the approval by the Inverness City Area Committee on 14 September, The Highland Council is planning to run a 6 month pilot project to tackle issues around trade waste in the city centre and consultation with city centre businesses and the public is now underway. 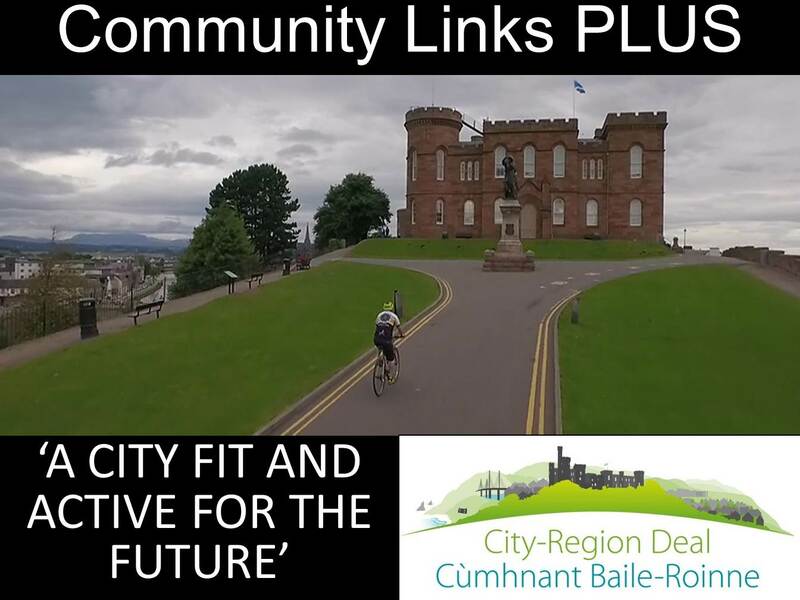 Four Scottish local authorities successful in multi-million pound active travel design competition, Community Links PLUS. Police Scotland and partners at the Highland Council have reaffirmed their commitment to making sure Inverness city centre remains a vibrant and safe place to live, visit and work. Members are to be asked to approve proposals to expand the Inverness and Highland City-Region Deal funded free open public Wi-Fi system to 14 towns across Highland. Highland Council Leaders are to seek clarification from tGlensanda Quarry operators in Lochaber on news reports that up to 25 jobs at the quarry are under threat. 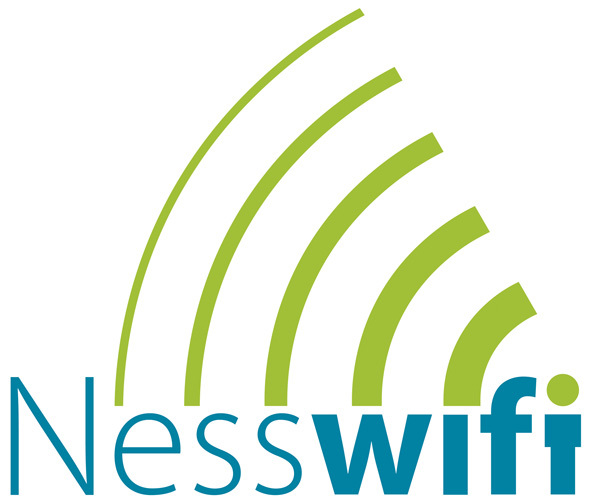 FREE Wifi will be extended across the city centre in Inverness this summer. The History of Sweet Treats on Academy Street! A sell-out crowd attended a special talk today, Monday 12th June, at Inverness Town House. It was a rare opportunity to hear Master Baker Harry Gow and local Historian Norman Newton exploring the fascintating history of the former Burnett Bakery, and the path that led Harry to set up his own business in 1979. The Highland Council is reminding Non-Domestic Rates (NDR) customers of the various reliefs available. 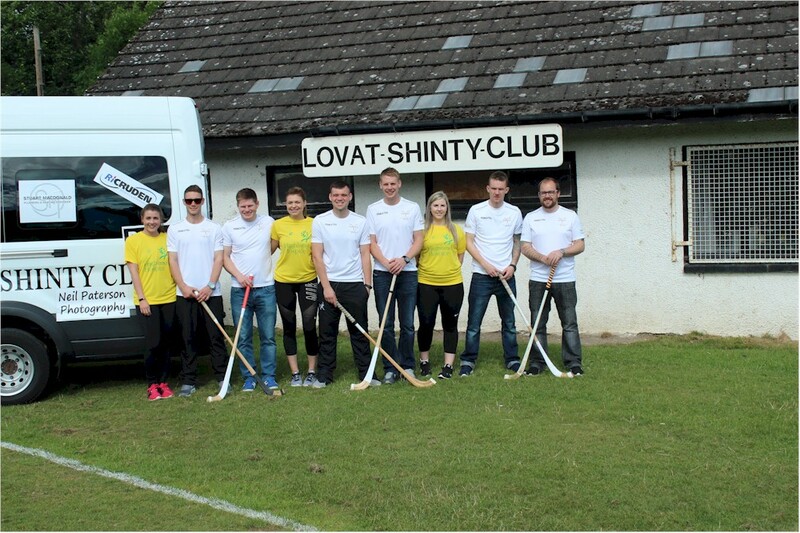 Nairn Sports Club is to benefit from EU funding from the Highland LEADER Programme. Highland Council advises that Non-Domestic Rates (NDR) bills for 2017/18 are now being issued. NDR is also known as Business Rates. The Leader of The Highland Council, Margaret Davidson has expressed deep concern at the latest news of job losses in the manufacturing and life sciences industry in the Highlands. Due to the uncertainty over the retention of the Highlands and Islands Enterprise (HIE) Board and following discussions at last week’s Highland Council meeting, a report went to today’s (Wednesday 2 November) Planning, Development and Infrastructure Committee so members could discuss the issue. 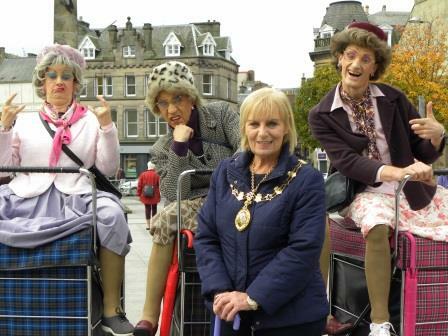 Provost of Inverness Helen Carmichael today (13 October) joined Mike Smith, Inverness BID and Jackie Cuddy, Eastgate Shopping Centre for the launch of the seventh Inverness Street Festival at Falcon Square. An eagerly-awaited detailed planning application for the first phase of a new railway station at Inverness Airport, Dalcross, has been lodged today (Thursday) by HITRANS, the regional transport partnership for the Highlands and Islands. Business cases totalling a value of around £48 million have been submitted as part of the City-Region Deal. Scotland stands to reap the benefits of Heathrow expansion four years before a new runway would open, under new proposals set to be launched on the first day of the upcoming Conservative Party Conference. A number of televisions seized by Trading Standards have been sent to a local charity for recycling. 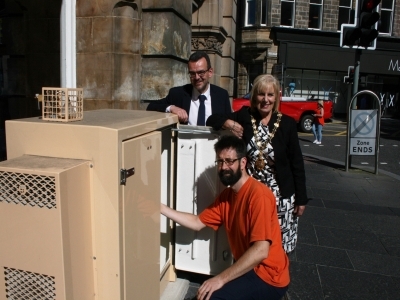 The Highland Council has recently installed an automatic air quality monitoring unit on Queensgate in Inverness City Centre. The Highland Council is proud to have their Director of Development and Infrastructure, Stuart Black, chosen to receive the SCDI Heathrow Airport Award for Outstanding Business Ambassador. The Council’s Resources Committee has agreed to select WIPRO Holdings UK Ltd as its Preferred Bidder for the future delivery of its ICT Core Services. Leader of The Highland Council, Councillor Margaret Davidson joined the Business, Innovation and Energy Minister and senior officials from SSE, Siemens and Scottish Renewables at Nigg this morning (Wednesday 15) to witness the signing of the multi million pound contract between Global Energy Group and Siemens for the Beatrice Offshore Windfarm. June 8th is World Anti-Counterfeiting Day 2016 and Trading Standards are warning Highland consumers to beware of buying bogus imitation products. The theme for this year’s event is “Fakes in the sports industries”, to coincide with the EURO 2016 football. As major music festivals and concerts and sporting events start to get underway, demand for tickets increases over the summer months. Following the report of a vulnerable man being targeted by bogus workmen in Inverness, Police Scotland wish to issue advice and a warning to members of the public in the Highlands and Islands. The Highland Licensing Committee has agreed to vary its existing resolution relating to the activities which are licensed under public entertainment. A new, collaborative programme which will train hundreds of Digital Champions to help thousands of people across the UK get online has been officially launched. The Board of Highland Opportunity Ltd (HOL) has agreed to commence the wind up of HOL and its subsidiaries and to transfer some of its services to The Highland Council. The Highland Council Leader, Chief Executive and senior officers attended an Economic Development meeting in Lochaber today. Lochaber Area Leader Cllr Thomas MacLennan expressed his deep concern following the news of the strategic review of Rio Tinto assets in Lochaber. 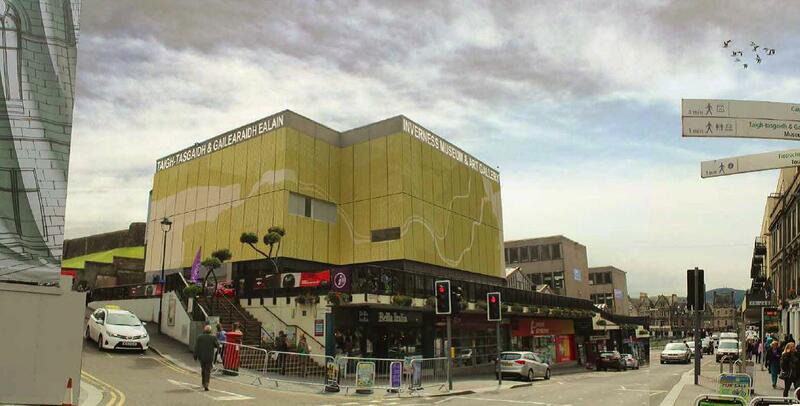 The Highland Council, working in partnership with High Life Highland, have submitted a planning application to encase the Inverness Museum and Art Gallery with bold, eye catching aluminium cladding, which will improve the environment in front of the castle, in advance of the long term proposals for the castle and surrounding areas. D&E Coaches have agreed to run a bus service between Ullapool and Inverness to replace the current 61 service which Stagecoach have announced they will be withdrawing on 22 December. The Highland Council’s Trading Standards team is urging shoppers to know their new consumer rights as the countdown to Christmas gets underway. The Highland Council has welcomed British Airway’s announcement this morning of a new Heathrow link with Inverness from May next year. Hosting two concurrent international orienteering events in the Highlands proved to be a run-away success bringing in £9.4 million to the Scottish economy, VisitScotland can reveal. In excess of 60 businesses in Highland have now successfully applied for free Broadband Connection Vouchers, providing a boost to their broadband so they can now benefit from new IT opportunities and better productivity. HITRANS, the regional transport partnership for the Highlands and Islands, is spearheading a significant European-funded project to assist and develop rural and remote airports with use of new technologies. Details of a process for a call for community transport grants applications will be considered by The Highland Council’s Community Services Committee at their meeting on 5 November 2015. 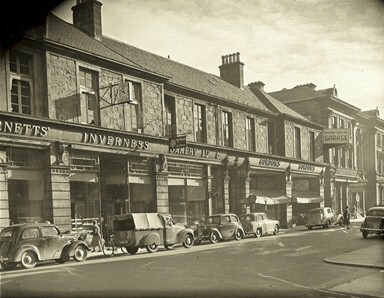 Following the announcement that the Townscape Heritage project has been successful in securing Heritage Lottery Funding, the groups behind the bid are all looking forward to seeing new life been brought back to Academy Street in Inverness. The Highland Council welcomes the announcement of the approval to this first stage of the roll-out of the new European Social Fund (ESF) Employability Programme for Highland which will be operating up to December 2018. The 2015 Belladrum Tartan Heart festival, in partnership with Pat Munro Waste Services and The Highland Council’s Carbon CLEVER initiative has recently confirmed it achieved its goal of zero waste to landfill. As far as it is aware it is the only festival of its size in Scotland to have done this. 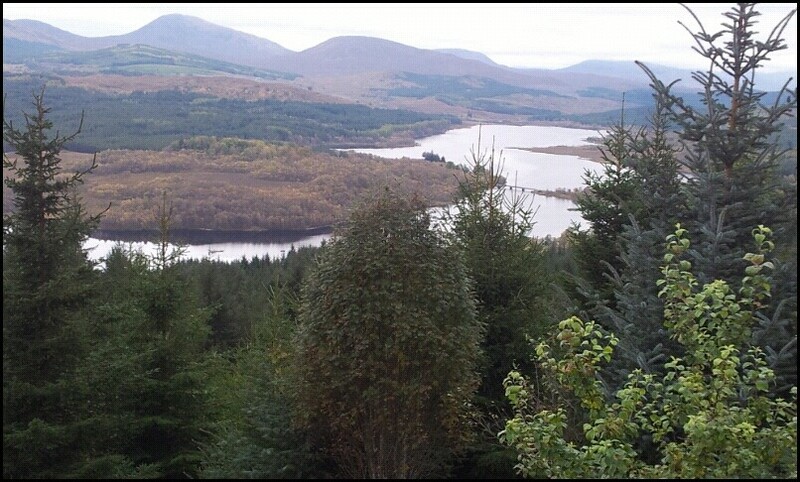 Talks are under way to investigate the feasibility of making much greater use of rail to transport the estimated 4 million tonnes of standing and fallen timber from the Flow Country in the North of Scotland to processing markets in the south via Inverness. 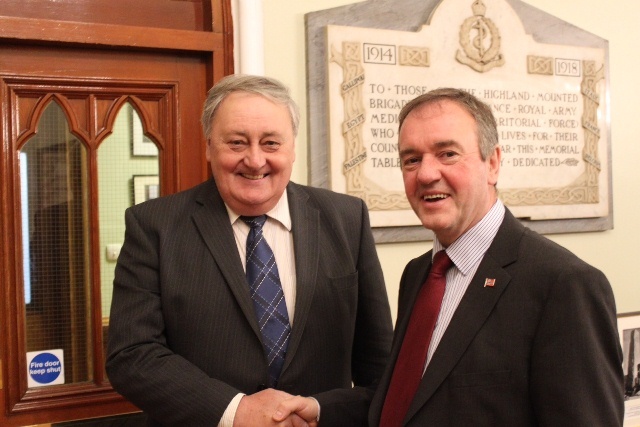 The new Vice-Chairman of HITRANS, the regional transport partnership for the Highlands and Islands, is Councillor John Mackay, of Comhairle nan Eilean Siar Council. Board Members of HITRANS, the transport partnership for the Highlands and Islands, have expressed their concern at the continuing poor performance of rail services on the Far North Line between Inverness and Wick/Thurso - and will maintain pressure on Network Rail and ScotRail operators, Abellio to bring about early improvements which restore passenger confidence in the service. Forty three businesses in Highland have now successfully applied for free Broadband Connection Vouchers, providing a boost to their broadband so they can now benefit from new IT opportunities and better productivity. The Highland Licensing Board is advising people who have had their personal licences revoked that rules have changed and they may now be able to reapply. The Highland Licensing Board met today to consider their response to the call for evidence on the UK and Scottish Governments’ proposals on the devolution of powers relating to Fixed-Odds Betting Terminals (FOBTs). Highland Councillors paid a visit yesterday (Monday, 10th August) to a pioneering project providing a completely new concept in social housing. 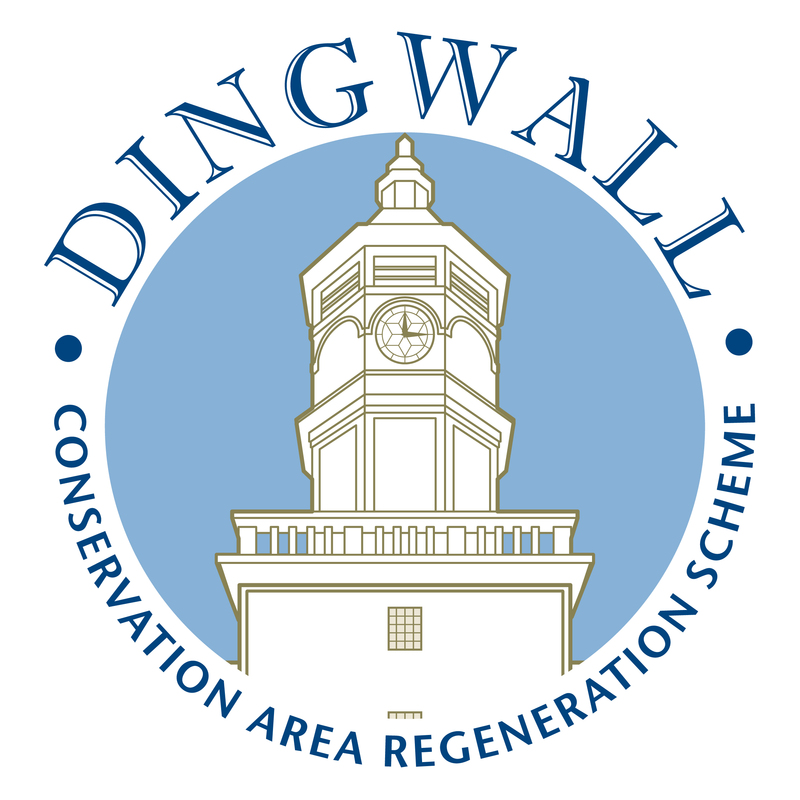 The last and final call for CARS grant assistance in Dingwall High Street is the 30th of September 2015. Belladrum Tartan Heart Festival, in partnership with Pat Munro Waste Services and the Carbon CLEVER initiative at The Highland Council, is aiming to become the first zero-waste to landfill festival in Scotland in 2015. 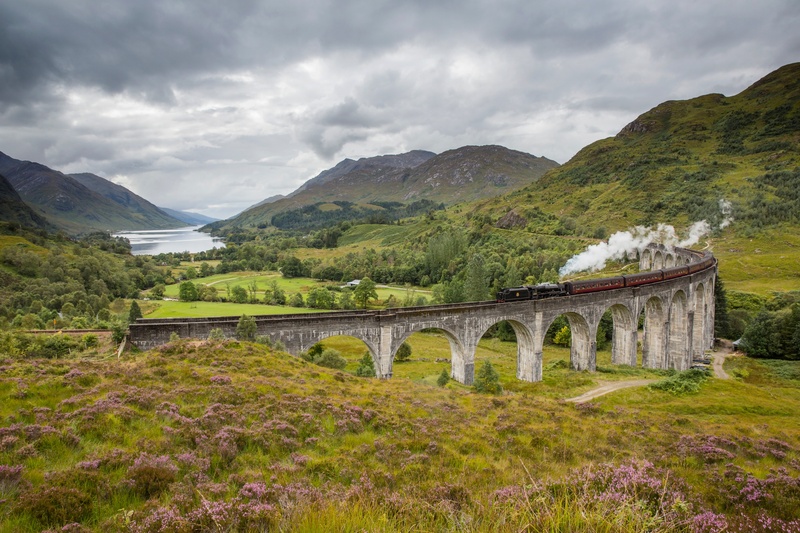 Visitors to the Highlands are being encouraged to follow in the footsteps of Harry Potter, Flash Gordon, James Bond and Batman with the launch of a new movie map. Highland Council Trading Standards have issued a warning of a new twist on previous cold call telephone scams, which has been termed as the ‘disconnection scam’. This recent type of scam can affect both businesses and consumers. Communities across the Highlands are in the process of developing Action Plans outlining local priorities for the LEADER 2014-2020 Programme expected to launch in late Autumn 2015. The Leader of The Highland Council has written to the SPP to express concerns at the announcement of their intention to outsource work to India with the loss of 11 jobs to the Highland area. Visitors to the Black Isle Show on the 5th and 6th August will be assured of getting the Real Deal after The Highland Council and the Black Isle Farmers Society made a commitment to keep them free of fake goods. 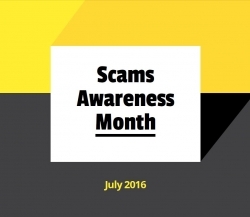 July is Scams Awareness Month and The Highland Council’s Trading Standards team is joining forces with Citizens Advice Bureaux to warn consumers about the risks of being caught out. The Highland Council has welcomed the clear and unanimous recommendation published in the long-awaited report from the Independent Airports Commission into increasing the UK's airport capacity, that increased runway capacity should be created at Heathrow Airport, London with the construction of a third runway. Eight businesses are the first in Highland to successfully apply for free Broadband Connection Vouchers which will now enable them to boost their broadband to make sure they benefit from new IT opportunities and better productivity. At its meeting on 16 June 2015, the Highland Licensing Board approved the final terms of its Supplementary Licensing Policy Statement on Extended Hours for Special Events of Local or National Significance. COUNCILLORS have expressed concerns over the closure of banks in Highland communities. The Highland Council will launch their Cold Call Control Zone Community Toolkit tomorrow in a bid to help communities protect themselves from doorstep crime. 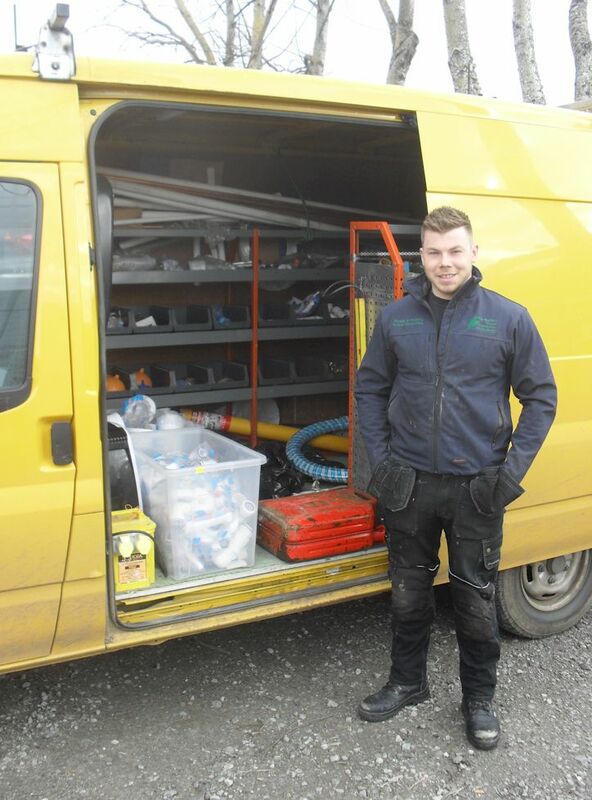 The Highland Council is pleased to announce the recruitment of six new building maintenance apprenticeship positions in four different areas of Highland. As part of Operation Monarda, Police Scotland's campaign against Bogus Callers and associated Doorstep Crime, officers from Police Scotland, VOSA, SEPA and Highland Council Trading Standards, carried out a high visibility operations in both Inverness and Brora last week. In common with other rural areas across Scotland, the Highland LEADER Programme is currently working to secure an allocation from the Scottish Government to deliver the Programme across the Highlands until 2020. With assistance of a grant from Historic Scotland, the Mackintosh Brothers have transformed their Dingwall newsagent’s premises back to its former Victorian glory and the recent work is attracting very favourable comments from the local community. The Highland Council’s Trading Standards team are warning local businesses about a scam that is currently doing the rounds and is targeting small businesses within the Highland area. Businesses in Inverness and many other parts of the Highlands will now be able to apply for grants of up to £3,000 each to boost their broadband, following an announcement made earlier this week by the Chancellor. Highland Council Trading Standards are aware that Scam postcards are being delivered to residents’ homes claiming that a parcel containing “jewellery” or valuables up to £50 is waiting for the homeowner. Highland Council Trading Standards are to hold two drop-in sessions aimed at traders who conduct works on domestic properties. Highland Council Trading Standards and Police Scotland Highland and Islands Division are to host a Facebook chat event on the topic of rogue traders who call at your door offering to carry out works on your home. The event will take place on Tuesday 24th March at 6pm. 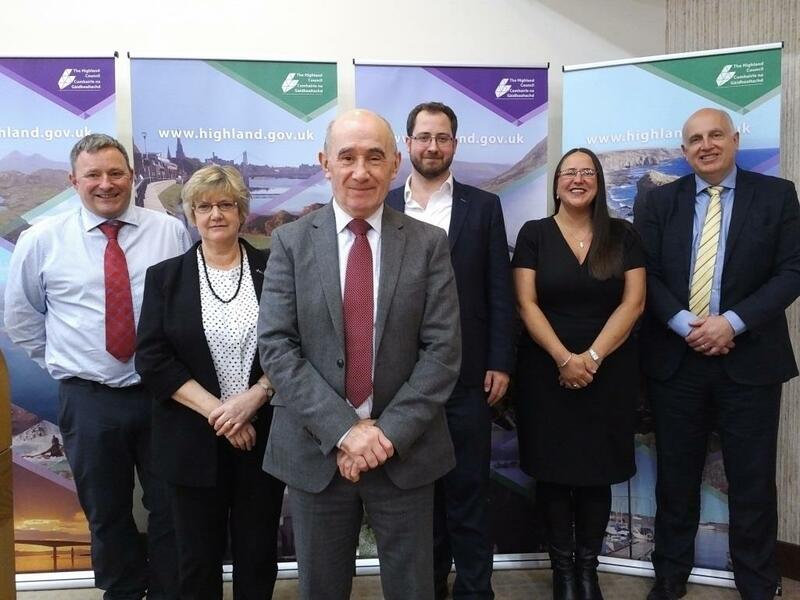 During a meeting of the Partnership Board held in Inverness last week, the Highland Community Planning Partnership agreed to promote Gaelic in relevant areas of their work. Craft & Things Coffee Shop in Glencoe has been awarded the Eat Safe Award after demonstrating that its standards of food hygiene and food safety management exceed that required by legislation. This is only the second award to be presented within the Lochaber area and one of only 43 Eat Safe awards that have been issued throughout The Highland Council area. At today’s Planning, Development and Infrastructure Committee members agreed to allocate £550k from its Capital programme to go towards the Townscape Heritage project that focuses on the regeneration of Academy Street in Inverness. Ahead of WWF's annual Earth Hour on Saturday 28 March 2015, The Highland Council is celebrating after being named as joint winner, along with South Ayrshire Council, of the WWF's Earth Hour Local Authority Champion for 2014. This prestigious award recognises both Councils’ efforts to support and promote Earth Hour 2014. An engineer with The Highland Council’s Energy and Sustainability team has been nominated for a prestigious renewables industry award. A study has shown that the 2014 Am Mòd Nàiseanta Rìoghail (The Royal National Mòd) generated £3,547,661 to the business community in Inverness – over a £1million more than the event target. The first phase of a masterplan to regenerate a key site in an historic Highland town is underway, with the demolition of a local landmark. The Royal Burgh of Dornoch in Sutherland is famous for its sandy beaches, Championship links golf course and 13th Century cathedral. Paper and can banks are to be phased out of The Highland Council’s network of Recycling Points during February and March. Highland Council Trading Standards, Police have received a number of reports of callers operating in the Holm, Culduthel and Lochardil areas of the city this week. Early in February the first two in a series of workshops specifically for anyone working in the local food and drink sector will take place to highlight how social media can be best used to increase profit, support other local businesses and promote the area. Concerns have been raised by Highland Councillors following Flybe’s announcement to suspend its service between Inverness and the City of London. A huge number of responses have been received as part of the phase two Budget Consultation. The Highland Council has praised the progress the Caithness and North Sutherland Regeneration Partnership has made in stimulating and widening the local economy and has endorsed future actions to attract new industries to the area. Highland and Islands Councils have signed a multi-million pound contract on behalf of the Pathfinder North Partnership, led by The Highland Council, for the provision of Network Services starting in March 2016. 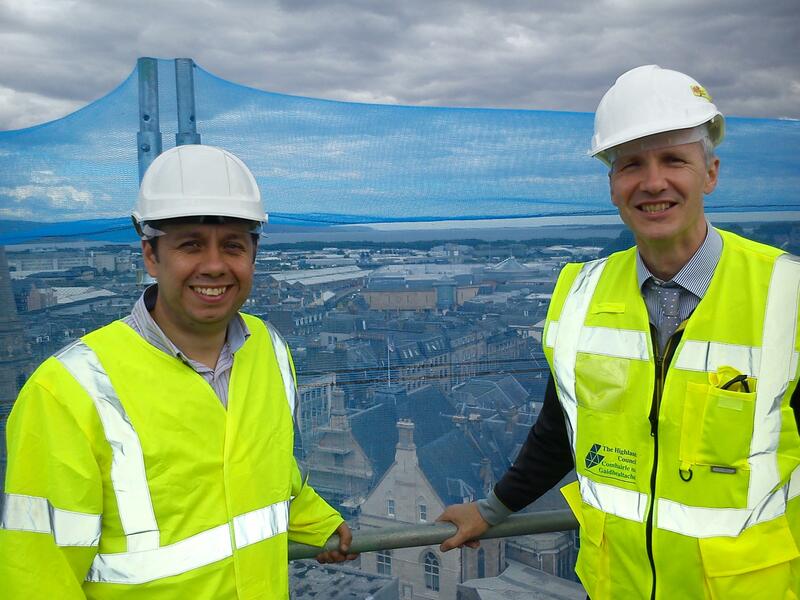 Housing projects helping to support local construction sector and wider economy. The Financial Conduct Authority has published a statement to warn business owners and investors against dealing with unauthorised firms offering finance to businesses. As part of an ongoing multi-agency partnership initiative, known as Operation Respect; which aims to reduce the negative effect of anti-social behaviour, violence and crime, metal detection devices which scan for knives and other offensive weapons will be used in licensed premises across Inverness over the coming weeks and months as the busy festive season approaches. 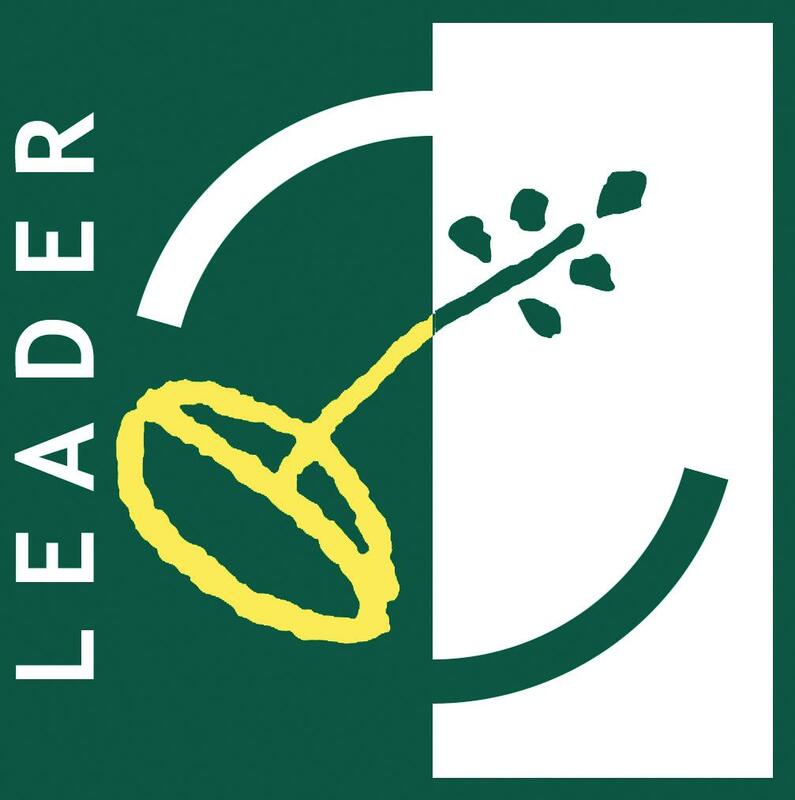 Highland LEADER is at the final stages of developing a Local Development Strategy for the new 2014-2020 LEADER Programme which will determine the kinds of projects this funding can support over the next six years and are asking people to participate in an on-line survey. The Highland Council’s Energy and Sustainability team have won the best innovation prize at the annual Energy North Awards which were held in Inverness last week. Over the last year The Highland Council gained approval of £634k of EU grant funding, drew down a further £1m of grants for existing projects, processed £4.33m of grants through its LEADER project and another £481,000 via the EFF Axis 4 Programme. Members of The Highland Council’s Licensing Board were today (12 August 2104) informed that a very large number of Personal Licence holders have still to notify the Board that they have undertaken refresher training which is required if they are to retain their Licence. Work to provide a safe cycle route from the Inverness Campus at Beechwood to the City Centre has begun. The Highland Council are encouraging retailers throughout the Highlands to get ready for the 20th October when retailers will be required to make a minimum 5p charge for all single use bags. 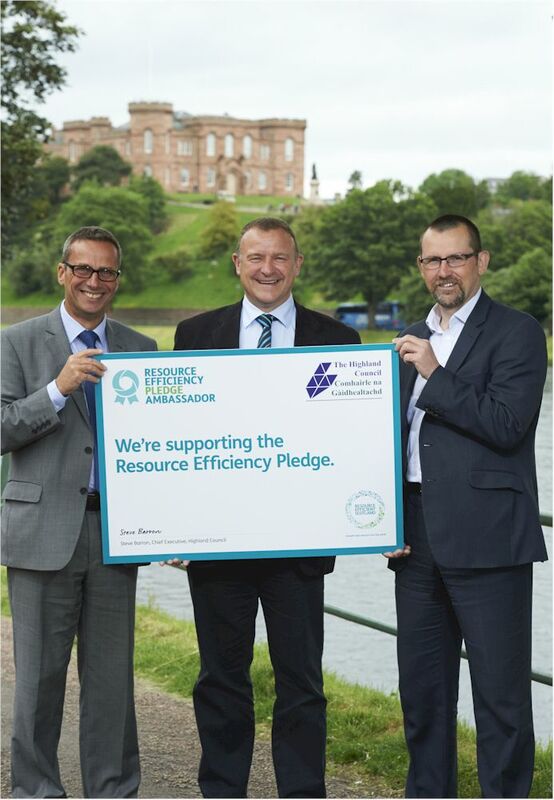 The Highland Council is to take a lead role in helping businesses save money, be more competitive and reduce their environmental impact by using resources more efficiently, by backing the national Resource Efficiency Pledge scheme. The Council will be running a series of public consultation events across the Highlands to give communities the chance to pass on their views on how the new 2014-2020 LEADER Development strategy could support local development over the coming years. A planning and development process to realise a twenty year vision for the City of Inverness has been given the go-ahead by Highland Councillors at the City of Inverness Area Committee. The Highland Council's Environmental Health team have identified raised levels of naturally occurring algal toxins following routine monitoring at Loch Ewe and at the Dornoch Firth. The setting up of ‘Cold Call Control Zones’. Most of us have experienced the text, phone call or email that tells us that we have won some mysterious lottery or a prize draw that we just don’t quite remember entering. In the main we recognise these for what they are, a scam! The Highland Council is encouraging residents and businesses in Nairn to influence the future of their town centre at a public event taking place at the Court House next week. Highland Council Trading Standards are holding a drop-in session tomorrow (Thursday 10 April from 3pm - 6pm) aimed at traders who conduct works on domestic properties. The Highland Council’s Trading Standards Officers are warning sun-lovers bound for Turkey not to be caught out by a new visa system which requires for a visa to be applied for before travel. Tourism and events will be the main focus of the next Highland Council Nairn Ward Forum which will take place on Monday 31 March at the Court House in Nairn from 3pm to 5pm. 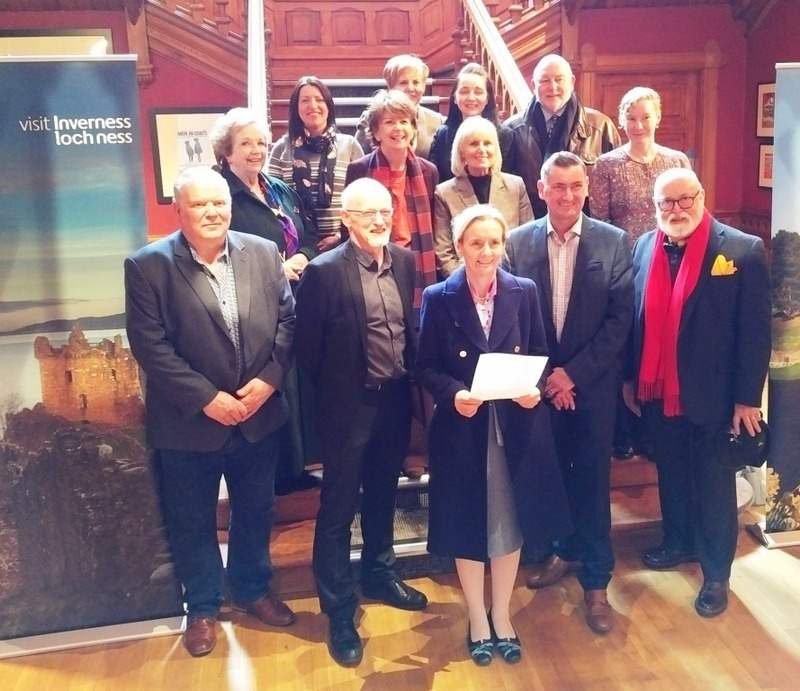 Inverness and Loch Ness Tourism businesses have voted to play a leading role in the creation of their area as a world renowned quality destination. 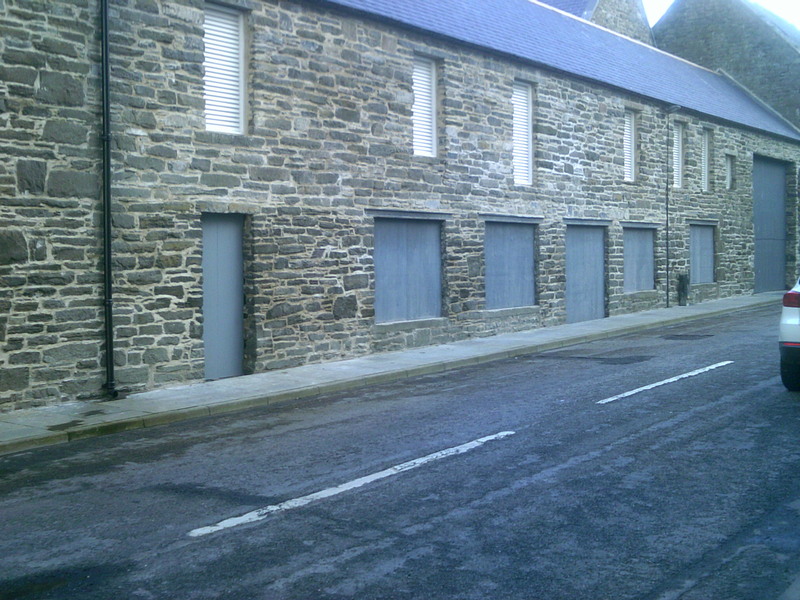 Completion of the first property in the Highlands to benefit from grant and loan funding from the Empty Properties Initiative. The Highland Council’s Trading Standards team is reminding Highland businesses involved in the provision of credit to consumers that they must register by the end of the month. Following feedback from Highland food and drink producers and providers The Highland Council is to run a workshop on social media networking. The Highland Council are inviting the public to help prepare a new Action Plan for Inverness city centre. Five community projects in the Merkinch and wider Inverness Area are to receive a £135,000 funding boost to help regenerate local communities. An estimated £7.25 million six-year project to maintain the structure and public safety of the Inverness Town House building was given the go-ahead today. Businesses located in the proposed Inverness and Loch Ness Tourism Business Improvement District are being reminded that they have until 5.00 pm on Thursday 13 March to return their ballot papers. Highland Opportunity’s Business Adviser, Iain Boyd, has retired after a bumper year that saw the organisation grant £557,500 of loans to 39 Highland businesses to help them start-up and grow. Councils and Police Scotland have today (Tuesday 25 February) joined forces to launch a new campaign designed to rid Scotland of the blight that is rogue traders who prey on the elderly. A Workers’ Memorial is to be created and located on the west side of the River Ness as an important feature of the River Connections public art project being promoted in Inverness city centre. We have agreed along with Police Scotland to fund the continuation of a traffic warden service while we work toward the introduction of decriminalised parking enforcement.